Somedays ago TRAI suggested Jio to Withdraw Summer Surprise Offer Due to Some Lack Of Explaination From Jio about their Offer. As per Jio Customer Care they have already Withdrawn Summer Suprise Offer on 8th April. Officially there is no information about these plan details. But from other sources here are some leaked informations about New Plan. As per Dhan Dhana Dhan Plan, Jio will come with two new plans offering 1GB and 2GB data per day. The 1GB plan costs Rs. 309 for already enrolled Jio Prime customers and will offer 1GB data per day along with unlimited calling for 84 days (28*3=84 days). And for the non Jio Prime members, the same plan costs Rs. 349 and offers same benefits along with the same validity period. Speaking about the 2GB plan, it costs Rs. 509 for JioPrime subscribed users and offers 2GB data per day along with unlimited calling for 84 days. The same plan costs Rs. 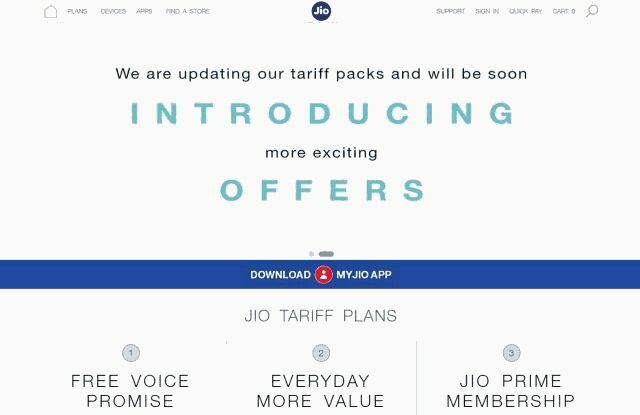 549 for non JioPrime users and will be valid for 84 days & for the new users joining Jio, the company will charge Rs. 408 (Rs. 99+Rs. 309) for the 1GB plan and costs Rs. 608 (Rs. 99+Rs. 509) for the 2GB plan. Do Share this Post & Keep Visiting us.